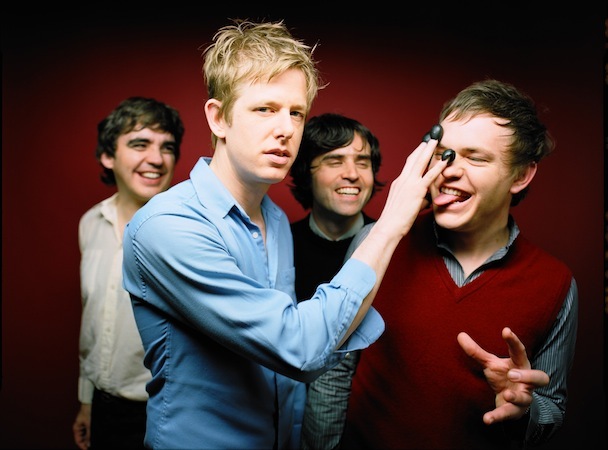 Dicing several genres without ever falling into one, Spoon (taking their name from a Can song, remember) rolls into the Observatory North Park on June 1 and 2 in support of their new album, They Want My Soul. Eric Harvey, the band’s utility infielder, took some questions for the Reader from “sort of wet and humid” Austin, Texas. Which are your best-remembered San Diego gigs? Was there a riot, somebody set something on fire? You were the new guy for a while — did you get any hazing? So, did they put cottage cheese in your amplifier? Any highlights from the tour so far?